I’m an Assistant Professor of Design in the Art Department at Missouri Southern State University in Joplin, MO. I’ve been trying to figure out this design stuff since the late 20th century, and maybe someday I’ll know what I’m doing. I hope you enjoy my work and student work. 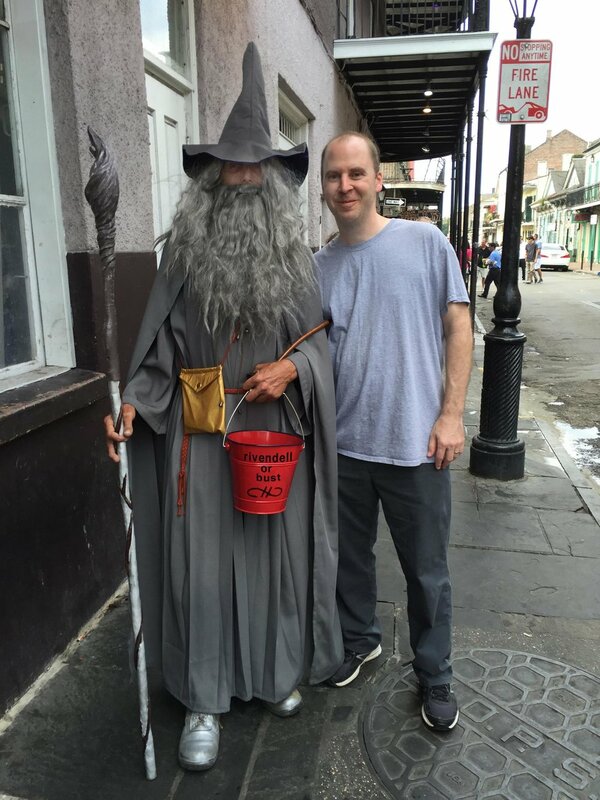 Adventuring with Gandalf at the 2015 AIGA Conference in New Orleans. Feel free to email me if you have questions about my work or just want to discuss design stuff. I check my email frequently so it won’t take long for me to get back to you.